Update: Following our CEO’s op-ed in the Globe & Mail on July 23, he was invited to discuss Vancouver’s economy at Global News on July 27th. Ian McKay is chief executive officer of the Vancouver Economic Commission. The picture is less puzzling in Vancouver, where we have quietly enjoyed an average of above 3-per-cent growth in gross domestic product over the past five years – a rate envious anywhere in the Western world. In addition, the Conference Board of Canada has predicted that our economy will be the fastest-growing in the country over the next five years. Our economic strategy has been simple: Take the steps needed to build a resilient economy, one that can withstand the boom-and-bust cycles that are amplified when economies hang their success on a handful of industries. That has meant diversifying our economy and focusing on knowledge-based sectors, such as technology, digital entertainment and interactive, and the green economy. These efforts have paid off, as our economy is now one of the most diverse of any major city in North America, and these sectors are the city’s fastest-growing. In tech, which has overtaken mining in aggregate value on the TSX/TSXV, homegrown successes such as Slack, Hootsuite and Avigilon have paved the way for the arrival of Microsoft, Amazon and other multinational giants. 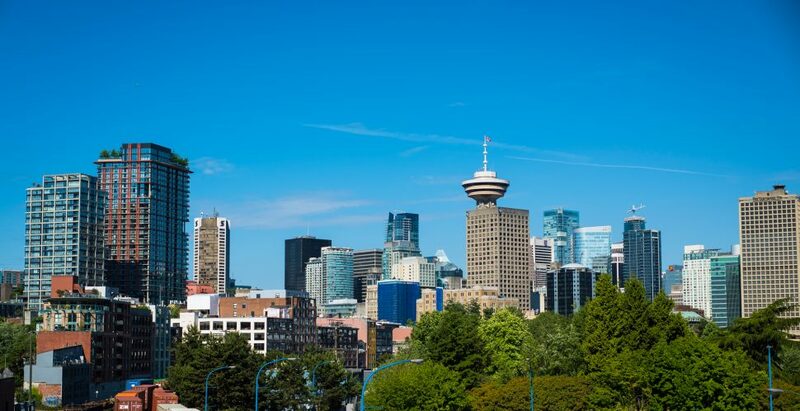 There are more than 1,000 digital entertainment and interactive companies in Vancouver and, with the arrival of Sony Pictures Imageworks and Animal Logic, the city is now the largest VFX and animation hub in the world. Building a resilient economy has also meant improving the environmental performance of businesses in all sectors. In 2010, through its Greenest City Action Plan, Vancouver set an audacious goal of becoming the world’s greenest city by 2020, including doubling the number of green jobs and the number of companies “greening” their operations . Vancouver is on track to meet its goals, having reduced greenhouse gas emissions by 7 per cent over 2007 levels, reduced waste by 18 per cent over 2008 levels, reduced water consumption by 16 per cent over 2006 levels and met or beat the most stringent air-quality guidelines, from British Columbia all the way up to the World Health Organization. It also has nearly 300 LEED-certified buildings and more than 4,000 community gardens, and 50 per cent of all trips taken in the city are by foot, bicycle or transit. Indeed, as the population of downtown Vancouver has grown by 75 per cent over the past 20 years, the cars on our roads have decreased by 20 per cent. These efforts have won Vancouver global recognition from the United Nations, from the Economist (which ranked us the third-greenest city in the world) and from the Vatican, where Mayor Gregor Robertson met the Pope this week to discuss climate-change leadership. This recognition has attracted high-quality talent that all businesses critically need to grow. Research shows that talent are increasingly choosing companies and cities that reflect their values. Issues such as a talent crunch and housing affordability remain. Those are growing pains that need to be addressed – yet the demand for housing and talent in Vancouver shows global confidence in our city and its direction. Business leaders, investors, skilled talent and policy-makers are increasingly looking to the Vancouver model. They see the city least affected by $50-a-barrel oil as providing a road map to a sustainable economic future.